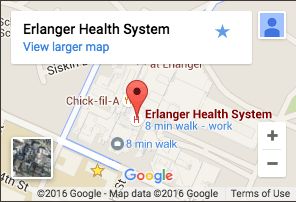 Lives change at Erlanger. Some begin. Some begin a new journey. But all of them are thanks to gifts from our generous donors. Erlanger Health System Foundations relies on donations to make a difference in the lives of our patients and to provide the highest level of health care in our region.